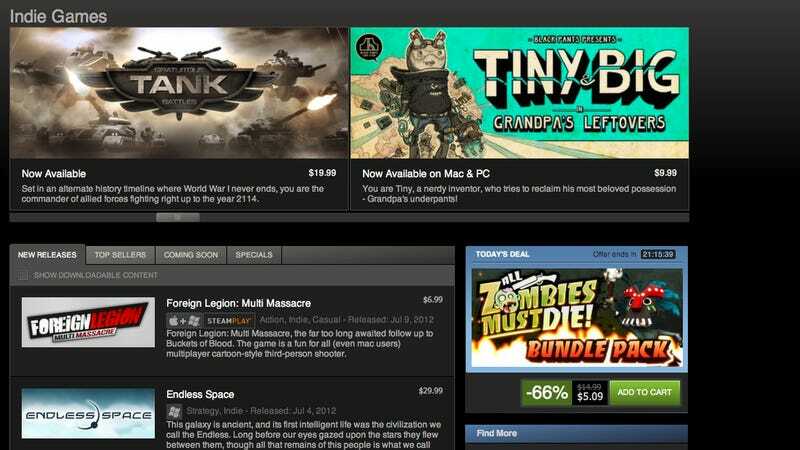 Valve is crowdsourcing the approval process for its Steam distribution platform, it said today. With a new service the company is calling Steam Greenlight, slated to launch at the end of August, Valve will allow gamers to vote on which titles will make it to the popular digital network. Instead of going through some sort of mysterious, behind-the-scenes approval process, independent games will now be placed on the Greenlight service, where users can vote to approve them for distribution on Steam. Games will not have to reach specific vote numbers, Valve said. They will instead be judged based on relative interest based on the other games in the pipeline. "For many stores, there is a team that reviews entries and decides what gets past the gates," Valve writes on the Greenlight website. "We're approaching this from a different angle: The community should be deciding what gets released. After all, it's the community that will ultimately be the ones deciding which release they spend their money on." Developers will have to post at least one video, at least four screenshots or images, and a written description of the game along with "tentative system requirements," Valve says. They'll also have to post a "branding image" like a box cover or logo to represent the game in lists and searches. Almost sounds like Kickstarter, don't you think? Greenlight will hopefully learn from crowdfunding's positives without inheriting its negatives. For example, in the Q&A on Greenlight's website, one question asks what you should do if you want to see a game succeed. "Go tell your friends, just don't be annoying about it," Valve writes. In other words, please don't spam Kotaku.